30% Off for a Case of 24 ($ 9.05 each). 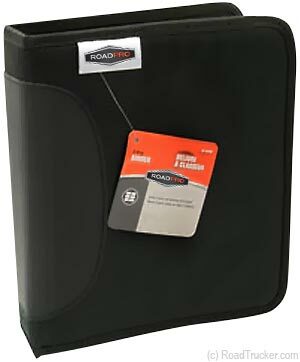 7 3/4"w x 9"h RoadPro Loose-Leaf Trucker Log Book Covers by RoadPro. Please Select 24 for 1 Case, 48 for 2 Cases, 72 for 3 cases, etc. 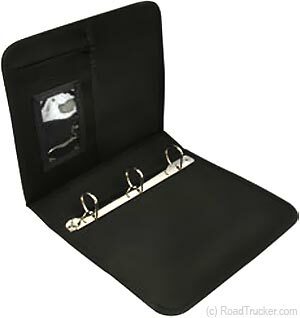 RoadPro's Left-side 3-Ring for Loose-Leaf Log Book Cover looks good and will handle Loose-Leaf Logbooks with rings on the Left side. It has an extra 1/2" for the part of the logbook that has the 3 holes.